This 510-Room Air-Conditioned Hotel Was Built in the 1980s and Fully Renovated in 2008. Its Convenient Location Provides Good Value For Tourists and Business Visitors Alike. Facilities Include a Lobby With 24-Hour Reception and Check-Out Service, Cloakroom, Newspaper Stand and Lift Access To the Rooms. Guests May Take Advantage of Room Service, a Beauty Parlour, Currency Exchange Office, Safe Deposit Boxes At the Reception, Conference Hall, Business Centre and a Car Park. Wlan Internet Access and a Laundry Service Are Provided For a Fee. 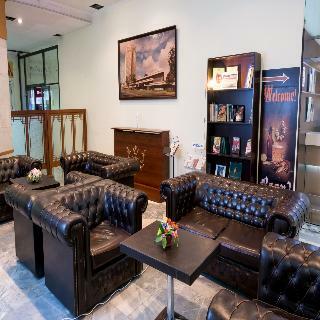 An Auditorium and Tv Lounge Are Available, and There is a Kids' Club For Younger Guests. A Souvenir Shop and a Food Store At the Hotel Lobby Are At Guests' Disposal, and the Hotel Also Has a Bar, Pub, Disco, Restaurant, Caf???? and a Casino.